Sanctioned for a so called missed appointment and for another reason that they won’t declare. Nothing changes does it. 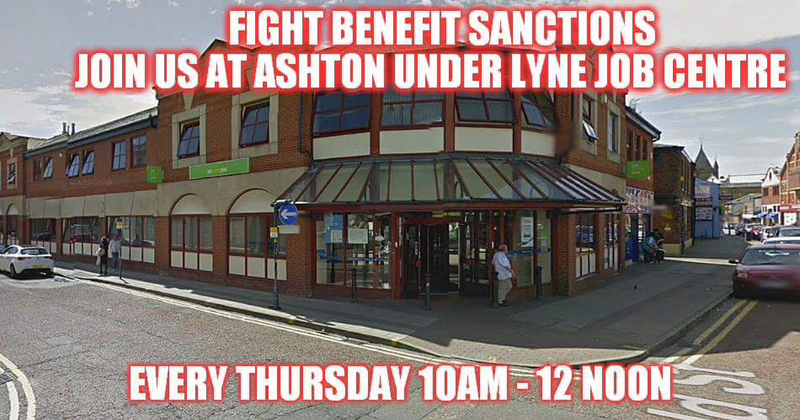 Someone who attends Ashton Under Lyne Jobcentre came to me for help. They turned up for their regular signing on date and were told that they were “possibly” going to be sanctioned for a missed appointment that they hadn’t received. Now this isn’t unusual so I set about trying to sort this out. No paperwork was given regarding this possible sanction and no right to appeal was given. They were just told that they had to wait for the decision. The first thing that I did was to email the Jobcentre manager. I stated DWP rulings in this email and that proper reason has to be given for a sanction to be applied. Also that it is DWP practice that you are given the right to appeal the sanction before it goes to the decision maker and once it gets to the decision maker. There is also a period of time given for this to happen. You are not supposed to be sanctioned straight away. Of course they ignored this and sanctioned them straight away (it’s a joint claim). To give the Jobcentre credit they did phone the people concerned upon receipt of the email. However the advisor phoning wasn’t the manager and they refused to give details of their position. They also gave different dates for the reason for the sanction. This isn’t unusual. But this is also wrong. They also refused to even conside dismissing the sanction. It would have to go to the decision maker. So we have several things that are wrong here. When you are informed of a possible sanction DWP legislation states that you should get this in writing with information included on how to appeal this decision. There should also be a period of time given to consider this. The decision was made in less than 2 days without a right to appeal. The burden of proof goes to them to provide proof that an appointment was given and proof that they received it. This cannot be given because no appointment was received. Just to add this couple are completely fulfilling their job seekers agreement. Also they both have had job interviews and also have a work trial this weekend. But their advisor who had previously been nice to them suddenly and unexpectedly changed personality and said that they wernt doing enough to find a job! They have requested to change advisors but this has been refused. It is their right to do this! Also yet again G4S security staff are breaching the data protection act by taking clients details and national insurance numbers! They do know that they should not be doing this. They are employed as security staff only and not as advisors. I can also add that this is not the first time I have had to deal with a wrongful sanction case. I do this all the time. I just wanted to post a typical day (or two in this case) of just what myself and others do to try and help others. They have been given a hardship form to fill in which they have done. This had to be requested though. This case has also been referred to my local MP who has agreed to try and challenge this. Many thanks to Angela Reyners lovely secretary for agreeing to meet outside normal surgery hours. It’s very much appreciated. I do know Angela as we stood in the general elections together and our paths cross often. I’m hoping for a positive outcome on this. Here’s a comment made by a comrade who attends demonstrations outside Stockport Jobcentre. Terrible. This is happening in Stockport too. We had to arrange a foodbank voucher from the Solidarity Drop In when a young man with 3 children (one a baby) came to inform us of a situation where his JSA payment had been stopped pending an appointment at the Jobcentre to discuss a “potential sanction”. 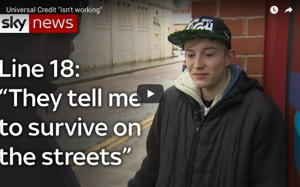 The reason for the potential sanction was that he had put a doctor’s appointment for one of his sick children ahead of a Jobcentre appointment at which the latest act in the nonsensical charade of a pretence that there are abundant jobs going-a-begging was to be acted out. At the meeting with the Jobcentre advisor (on a Monday), he had been told that the sanction was not to be proceeded with but that his payment due that day would nevertheless not be made until Friday. The DWP is acting unlawfully. This is quite simply a regime of the most gross bullying and arbitrary and inhuman treatment. I remain absolutely disgusted that the workforce carrying out these outrages is highly unionised – being members of the union, PCS, that I was a member of for 12 years and a branch secretary of, for 3 years!! Government plans to change the point system for those applying for PIP.